Should My Small Business Switch to Skype for Business? Since 2003, consumers have been happily using Skype for video chats, instant messaging, and voice calls with friends and colleagues worldwide. 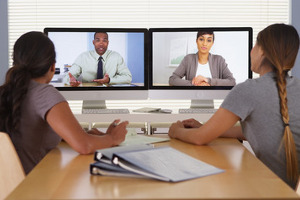 Many small businesses have also found the application valuable for meeting their business needs for video meetings, conference calls, and other forms of communication and collaboration. The question some small businesses invariably face, however, is at what point is it necessary to upgrade this telecommunications solution to one designed specifically for their company’s needs. Skype for Business, formerly known as Lync, is one popular solution, but when does it become preferable to Skype or other options? We will try to answer this question in this blog. Microsoft, which bought Skype in 2011 for $8.5 billion, gives the general advice that Skype should usually be sufficient for companies with up to 20 employees. It is a good rule of thumb and something your company should consider as it starts to reach or surpass that employee size. However, as we will discuss below, other issues such as needed functionality and security concerns can be more important deciding factors. Skype is free for calls and video conferences with other Skype users. Companies can also buy credits to make relatively inexpensive calls to employees or clients using landlines or mobile devices. Skype for Business has a nominal fee of $2 per month per user as an individual product. Most companies will likely choose to use it as an included part of their Office 365 subscription plan. Skype provides free calls, instant messaging, and video chats worldwide to Skype users and also enables small businesses to have group calls and video conferences with up to 25 people. 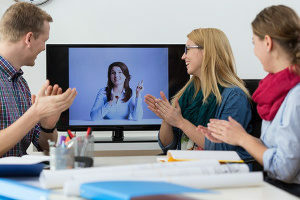 Skype also allows users and businesses to share their screen during video conference presentations as well as easily send and share files, photos, and videos. Skype for Business provides for all of Skype’s features, but allows up to 250 users to participate with greater meeting functionality. For example, it allows companies to record their meetings, gives presenters special meeting controls, and provides a meeting lobby for participants. It makes more complex levels of presentations available including the use of conference rooms with video cameras and monitors, as well as online white boarding. Skype for Business has enterprise features that make it possible to replace an office phone system by offering Cloud PBX with PTSN Calling as well as PTSN Conferencing. Another valuable feature is that it integrates with all Office 365 Apps and other apps. One essential integration is with Outlook and its calendaring functionality. It also offers tools that allow employees to transfer files and share their desktops. In addition, it makes it possible for companies to broadcast online meetings with up to 10,000 participants. One main reason that some small companies choose to use Skype for Business is that it provides for comprehensive, enterprise-level security and offers more secure calling and video conferencing. This enhanced-level of security is superior to Skype and is a crucial factor for companies that work with highly sensitive data. In addition to Skype and Skype for Business, Microsoft also introduced a middle of the road option called Skype Meetings in 2016. This option is a reduced functionality or freemium version of Skype for Business. Initially it provides for online meetings with up to 10 people with much of the advanced presentation and screen sharing functionality of Skype for Business. Skype Meetings is free, but it has the disadvantage of being only available for up to three people after the first 60 days. 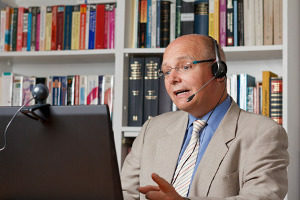 Although Skype for Business generally gets good reviews, some users complain about clunkiness and bad connectivity. Others comment that it can be overly complicated or simply too advanced or comprehensive for their needs. As a result, it makes sense to not only think of staying with Skype, but also to consider competitors in this area. There are some business alternatives for Skype for Business that are worth exploring depending on your company’s needs. Some of the most highly regarded are: WebEx, Google Hangouts, join.me, eZTalks Meetings, and TrueConf. In summary, it makes sense to take the time to evaluate if Skype is the right fit for your company or if it may be time to upgrade to Skype for Business to better meet your communication and collaboration needs. You should also consider whether to use Skype for Business as a standalone product or part of an Office 365 subscription. It also makes sense to look at some of the competitors to Skype for Business, as they may offer a more efficient solution for your customized needs. In addition, it is important to know your company to accurately assess if you really require all the functionality that Skype for Business can provide. We recommend consulting with a trusted IT Support partner, like Network Depot, to help you make the decision on switching to Skype for Business. 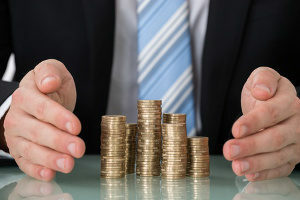 They can help you assess your needs and determine which communications solution will best help your company meet its unique business objectives.